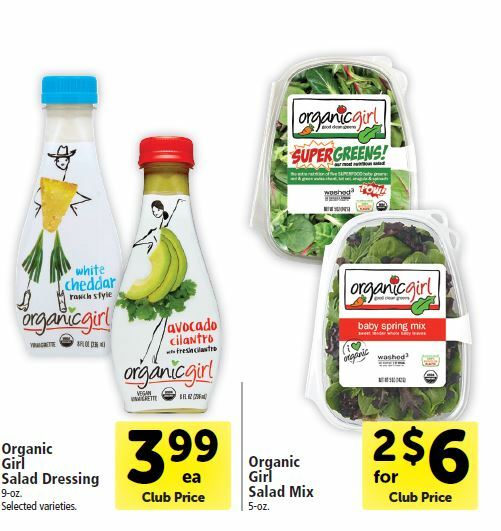 Add a salad to your meal on the cheap with this HOT deal on organicgirl dressing and salads at Safeway right now. 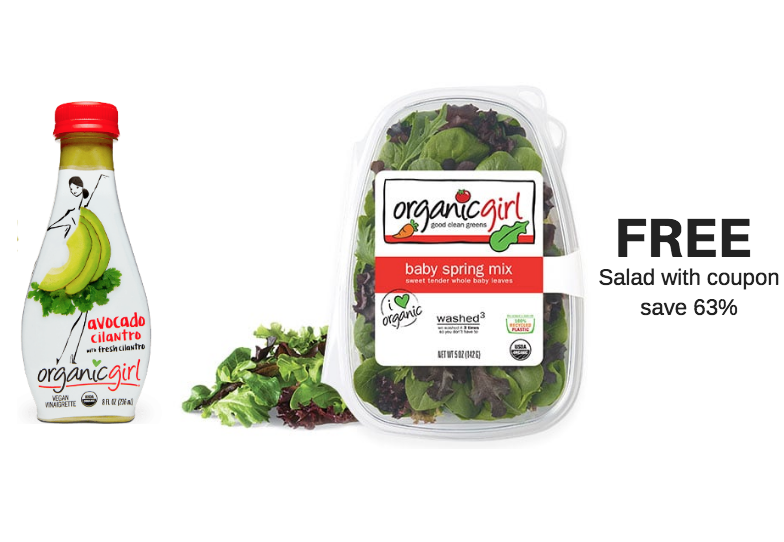 There is a NEW organicgirl coupon for FREE Salad when you buy an organicgirl dressing. We are in love with the new organicgirl salads dressings and have partnered with organicgirl to create 2 recipes around the salads and dressings as a result! Be sure to read our review of the new organicgirl salad dressings here and get a recipe for a delicious grilled chicken strawberry fields salad here, and a delicious quinoa spinach salad recipe here. The organicgirl salads are on sale for $3.00 and organicgirl salad dressings are on sale for $3.99 through the month of October in the new Big Book of Savings. Print a coupon from the organicgirl website for a Free organicgirl salad blend coupon when you buy organic girl dressing and also submit a cash back offer from ibotta for $1.00 cash back on organicgirl dressing. You’ll get an organic salad mix and an organic dressing for just $2.99, which is like paying $1.49 each. Final price = $2.99 and free salad, which is like paying $1.49 each! Has anyone successfully tried this deal? I know their policy states “We will not accept “free product” internet printed manufacturer coupons.” so I have a feeling they would not allow this at my store. Hi Erin, It works because it’s technically a BOGO free coupon. You have to buy both the dressing and salad and then the salad is deducted from the total. I’ve tested and it totally works. Thank you so much! I will try it! I think my store is just picky – one time a cashier told me they would soon not accept coupons printed in black and white….??? You bet! It’s a great deal. My favorites are the cilantro avocado and the lemon agave dressings. If you ever have a problem with a coupon – just see a manager or point the cashier to the coupon policy on the safeway website. I never print my coupons in color! Don’t even own a color printer – so that is false!